All solid (wood), liquid (gasoline, jet fuel, …) and gazeous fuels (methane, propane, …) we currently use are made of long chains of carbon (C) and hydrogen (H) atoms, the smallest one being methane with one carbon atom only, and 4 of hydrogen (CH4). We burn them with oxygen (O2) to break the bounds between the atoms, a process that releases the energy contained in these bounds. 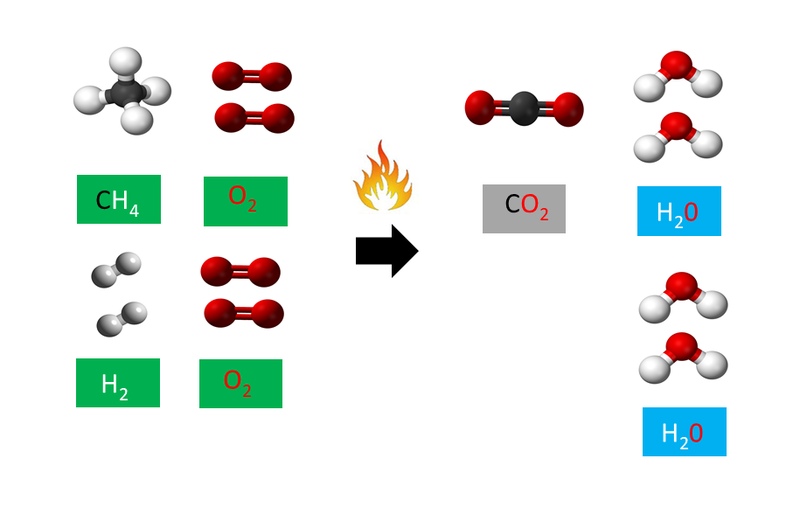 Doing so we generate inevitably carbon dioxyde (CO2) and water vapor (H2O) as carbon and hydrogen atoms recombine themselves with the oxygen atoms during the combustion. One gas, and one only, does however not generate CO2, the harmful green house gas we want to avoid to tackle climate change : hydrogen. Hydrogen is the most abundant molecule on the planet and comes as a pair of two atoms (H2 or dihydrogen) without any carbon atom linked to them, hence the impossibility to generate carbon dioxyde. 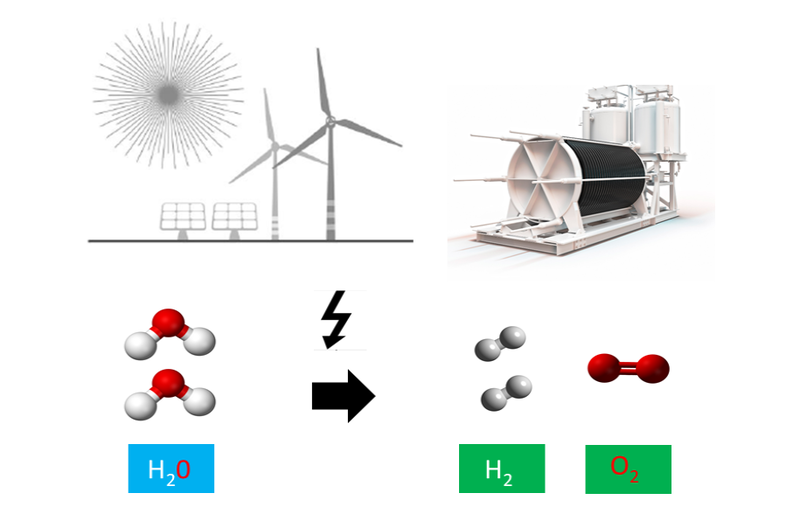 Hydrogen can be produced from green electricity. It helps store green electrons and have them under another form, green gas molecules. 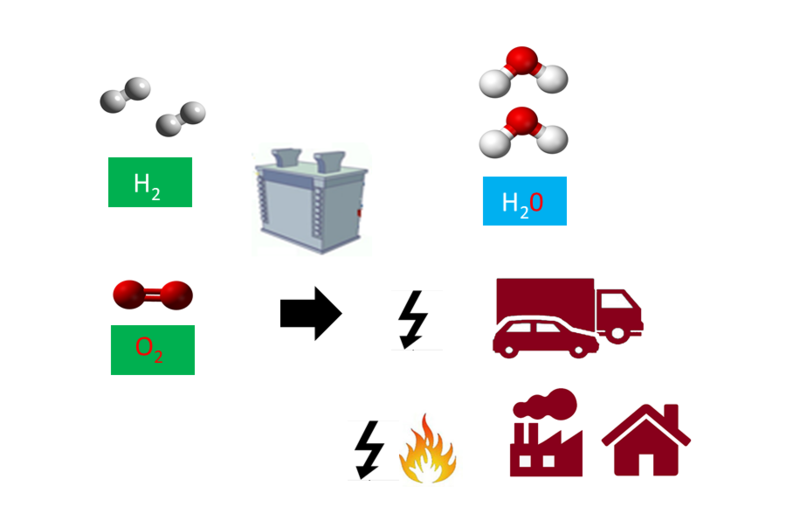 Green hydrogen is produced by using green electricity to split water (H20) into hydrogen (H2) and oxygen (O2) in an industrial device called an electrolyser. Both gases can then be captured and stored for a later use, oxygen being however often released in the air. As the vast majority of green electricity sources are dependent on meteorological conditions (sun / rain / wind) and vary greatly in intensity over time as these conditions change, producing green hydrogen is a way to store this energy . Green hydrogen can therefore be seen as a gaseous form of green electrons that allows to use them later, whenever needed. Hydrogen is used in fuel cells to generate energy, a silent and more efficient process than our current use of fossil fuels in engines and heating devices. Fuel cells are used to provide energy (power and heat) back from hydrogen and oxygen, via a chemical reaction that produces also water vapour. It is the exact reverse of the electrolysis process described here above. It happens silently and vibration less, with a very high total efficiency of 95% (conversion to 60 % of power and 45 % of heat). Fuel cells can be found in hydrogen electric vehicles where electricity is produced on demand to power the electric engine. The efficiency of 60% here has to be compared with the 30% of traditional combustion engines, that tend also to be noisy and polluting. Fuel cells can also be found in buildings and industries to provide heat and power. They are here also more efficient than the traditional gas based heaters installed. Green electrons can not alone solve climate change as 20% only of our energy uses are based on electricity. Hydrogen is needed for the rest. There is a general trend to consider that green electrification for all the applications requiring energy (heating / transport / industrial processes / lighting etc …) is the solution to tackle climate change. 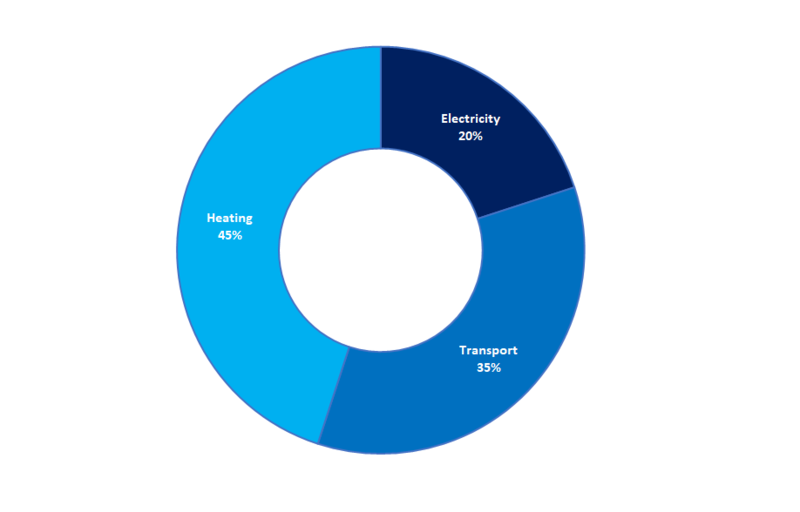 But the vast majority of our energy uses are related to heating and transport, and these are based on combustion processes and the need for high energy density energy carriers (currently mainly gas for heating and fuel for transport). Hydrogen is also a fuel with high energy density (unlike electrons) and can be mixed with natural gas in existing pipelines or replace it on the long term. Hydrogen can also be put compressed in tanks for mobility purposes and we see curently hydrogen trains, trucks, cars, buses and ships coming to the market. So, we need hydrogen next to electrons. But the vast majority of our energy uses are related to heating and transport, and these are based on combustion processes and the need for high energy density energy carriers (currently gas for heating and fuel for transport). Hydrogen offers a much higher energy density than electrons and can be mixed with natural gas in existing pipelines or replace it on the long term. Hydrogen can also be put compressed in tanks for mobility purposes and we see currently hydrogen trains, trucks, cars, buses and ships coming to the market. We need hydrogen next to electrons. 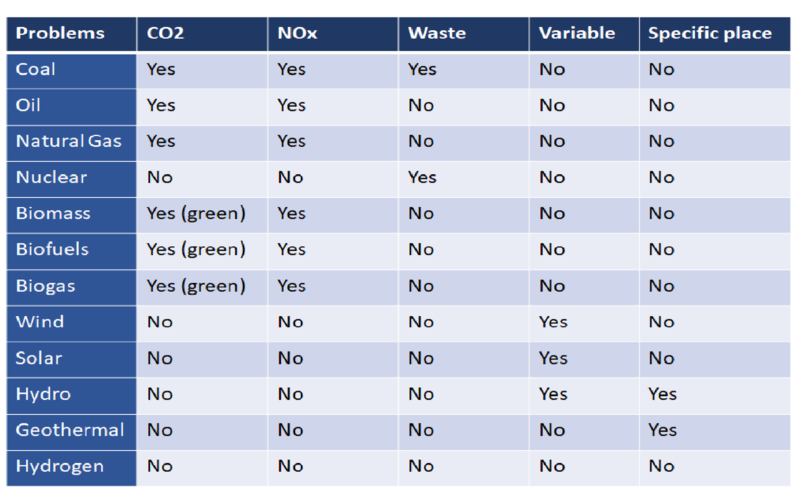 If we want to avoid polluting air in cities and to affect climate change we should move away from all fossil fuels as they emit both CO2 and NOx. Biomass and bioliquids are acceptable only if we ensure we have proper CO2 sinks (forestry, CCS) and better burners as they emit NOx as well. Wind, solar and hydro present the inconvenience of not being stable, but we need energy on demand and sometimes large amounts, so they need to be complemented. Geothermal can not be placed everywhere, while nuclear generates waste issues. Only hydrogen is exempt of all these negative sides, and it is a perfect complement.